Rest as needed then SPRINT 800 meters for a record time. Note: Weight for todays workout should be light to moderate and is the same for all three movements (one barbell). The goal is to find a weight you can comfortably complete the above repetition requirements in every minute for the entire fifteen minutes. Think of todays workout as aerobic training utilizing foundational weightlifting skills. The 800 meter sprint should be a blistering pace. Chris and Ashley are Engaged! 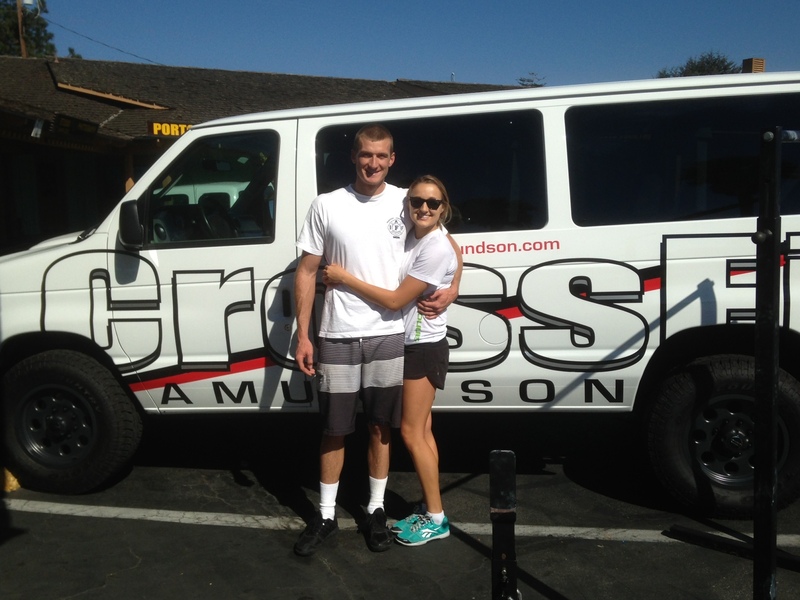 Join us on Friday, October 22, 2013, at CrossFit Amundson for an Engagement Celebration Dinner for Chris and Ashley. This event is free for CrossFit Amundson members and their families. Be sure to sing up at the gym!